Welcome to Miss Writer's Year 2 class page. 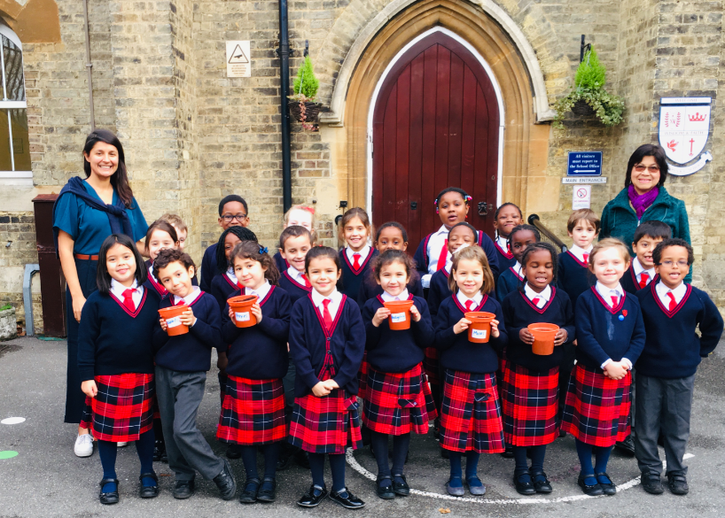 Year 2 are raising money for charity. On Friday 12th April we will be having a sponsored spell event! We would be incredibly grateful if you could sponsor us by signing our sponsorship form. This January all the children set a goal to get 10 out of 10 with their spelling and maths. Please help them to achieve this! This week: 20 out of 23 children got 10/10 in their spellings. Maths... Keep working hard. We need to improve our scores. Children will be given homework every Friday which needs to be returned by the following Friday. Please encourage them to get this done over the weekend to establish good practices. Please remind the children they can do as much Mathletics as they like (in addition to any set tasks given). The children will have a mental maths and spelling test every Friday. X2,X3, X4, X5 and X10 tables. Year 1 and 2 Common Exception Words. All children should know how to spell these words. Clubs start second week back. Children are selected for each club randomly. If your child is selected, you will be sent a confirmation email. If you do not receive an email, your child has not been selected. Please pay for all clubs via the online payment system - the school no longer accepts cash. In English we will continue to learn about traditional fairy tales and writing our own stories. We have learnt how to use a variety of sentence openers and also how to extend our sentences with conjunctions. We are getting very good at adding adjectives to our writing and are now using a lot of descriptive verbs and adverbs in our work. We will continue to work on our grammar and punctuation, in addition to adding suffixes, apostrophes, homophones, synonyms and speech marks. In maths we will be reviewing everything learnt last term. We will continue to practise the 2, 3, 4, 5 and 10 times tables and apply our knowledge to addition, multiplication and division word problems. We will learn how to round 2 and 3 digit numbers and further the work we started on shape, measurement and fractions. This term's RE topic is books. We will be discussing the importance of the Bible, looking at stories in the Old and New Testament and writing our own book reviews. Bless us O Lord as we sit together. In science we have started our topic materials. Check out this website to find out more information. In ICT we will be learning how to code. We will be writing our own code and creating an algorithm to direct a character in a game. We will also be designing our own apps. We have been learning how to be a good friend but most importantly, how we can be a better friend. We are always working on this in the playground. The children have been doing a great job starting cursive handwriting. Watch this video to see how the children have been learning to form their letters. Remember to start on the line and lead in and lead out! This term we are learning about cubism. We will be looking specifically at Pablo Picasso and his work The Weeping Woman to understand how cubists create images from geometric shapes. The children have reading books and should be reading for about 10-20 minutes a day. Please encourage them to read by making it part of their daily routine. It is really helpful to question them about what they have read to check their understanding. The children will be read with once a week. This may be in a guided reading session where we will discuss a story and ask questions about the text, for example: why an author may have chosen to use certain language or write in a particular style, to make predictions and inferences. We also ask the children to make links to other books they are reading at home. In addition, the children will read every other week in a one on one setting and change their home reading book. Please find below a link to Lexia - a spelling and reading programme. Your log in is your first name and the first letter of your surname (eg Sarah Smith would be sarahs). Please note that Lexia does not work in Internet Explorer, please try another browser such as Google Chrome or Safari instead. Rose and Jayson - school council representatives. Chair Person - Cara, Vice Chair Person - Diego and Secretary - Sitara.